the tallest building, the fanciest airline and even huge art installations. 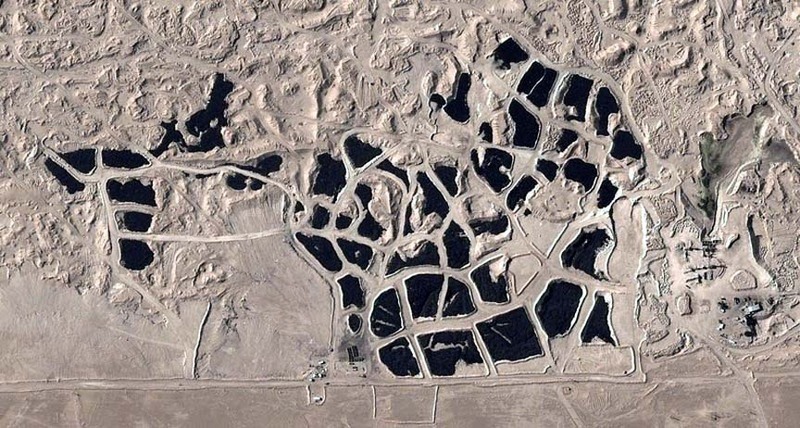 For example this one in Sulabiya, Kuwait, so big it can be seen from space. Must not be finished because I can’t tell what it represents yet. Of course out in the desert it would have to be built from durable materials. 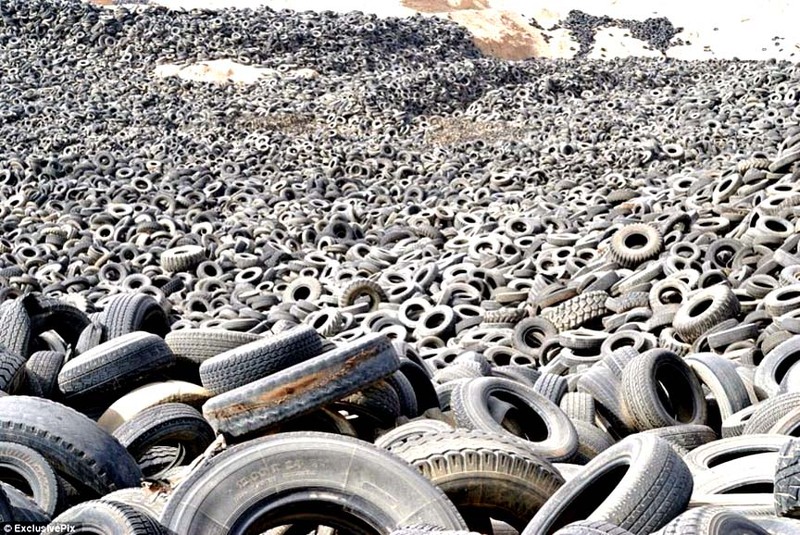 Tires that have reached the end of their lifetime are usually recycled, but in Kuwait, they are dumped into one of the biggest landfills on earth in Sulaibiya area near Kuwait City. Every year gigantic holes are dug out in the desert and filled with old tyres. 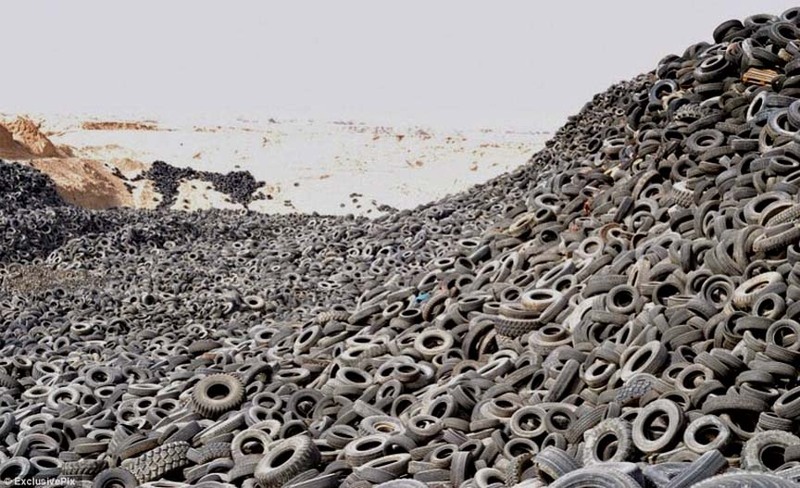 There are already seven million tires out there. The expanse of rubber is so vast that they are now visible from space. They’ll regret that when climate change cause that area to be come fertile farmland.